Enhanced grip, longer lasting tone life thanks to special coating. Prolong your tone with the same premium electric bass guitar strings that experienced players worldwide trust to keep their incredible tone longer than any other string available. 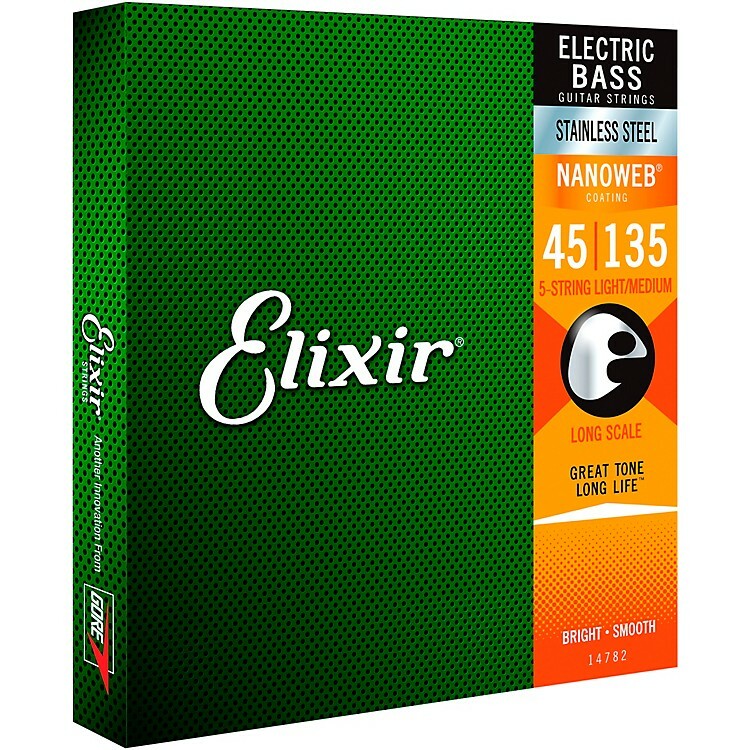 Specially developed based on in-depth feedback from more than a thousand bass players just like you, Elixir Strings' tailor-made selection of bass strings proudly includes nickel-plated and stainless steel construction options, four- and five-string sets, and virtually every gauge range you could possibly need. All with their innovative string coating technology. And unlike other string brands, Elixir Strings coats the whole string. This protects not only the outer string surface but also the gaps between the windings where common tone-deadening gunk typically builds up in other brands’ coated and uncoated guitar strings. Elixir Strings has re-invented the stainless steel bass string. Carefully designed to enhance everything you love about stainless steel and minimize everything you don’t (including its notoriously shrill sound), these electric bass guitar strings boast a bright, stainless tone with deep lows. Meanwhile, the ultra-thin NANOWEB Coating, redesigned specifically for bass guitars, allows a smooth, natural feel that also enhances grip and reduces finger squeak. For a richer, more rounded bass tone, try their Nickel-Plated Steel Bass Strings with NANOWEB Coating. Of course, the kind of string you play is all a matter of personal preference. Not sure what tone is right for you? Try them out for yourself, and find your new favorite string from Elixir Strings. Order a fresh pack for your bass today!